Mr. Hornaday’s War tells the story of the near-extinction and return of the bison, brought to the brink of ruin by greed, thrill-killing, carelessness and misbegotten government policy. 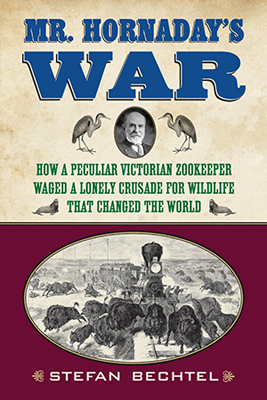 The book also describes other great ghts by this quirky, cantankerous, di cult man, who was the greatest conservationist of the 19th century, second only to his friend and ally Theodore Roosevelt. It’s the story of what is possibly the greatest conservation and species recovery stories in American history, saving the bison.